Last year I had several friends and family members who took trips to the “happiest place on earth”. It was fun to see all their pictures and hear their stories, to see their kids’ excitement in pictures and videos! However, I’d be lying if I said there wasn’t a little part of me that felt almost guilty for not taking my kids there. Was I depriving them of some childhood rite of passage? We have five young children, and our vacations mostly consist of tent camping trips. Plane trips and amusement parks are not in our foreseeable future. The more I thought about it though, the more I realized that while exciting vacations are a great opportunity to create memories together, there are things I can do for mykids that are more important. The best things that I can do for my kids are to teach them about the love of God through Jesus’s sacrifice for them on the cross, and to do my best to reflect His love for them in our day-to-day lives. 1. Ask your children if there is something special you can do for them. One day fairly recently we had a very stressful morning, and I was less than patient with my kids. I knew my son was taking my impatience hard, so I apologized and asked if there was anything special I could do for him that day. He perked right up, made his request, and then later burst back into the kitchen with an “I love you, Mom, you’re the best!”. 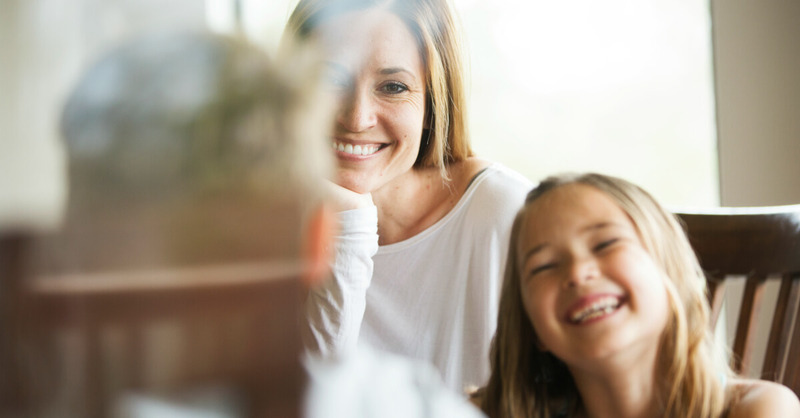 I was surprised how much that one little question turned things around for him and for me, and I made a mental note to ask my kids this question more often. They are each individuals, and they each have something different that makes them feel loved, but I won’t know unless I ask. 2. Say I love you at an unexpected moment. 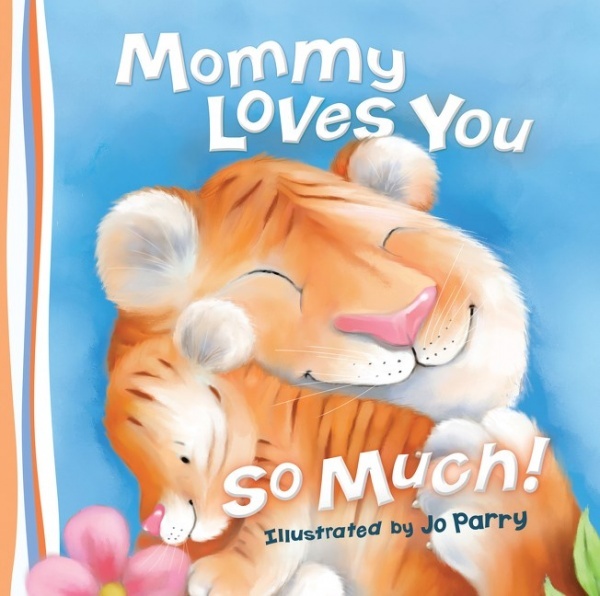 Like most moms, I say I love you to my kids every day, but one thing I’ve noticed is how my kids perk up when I say “I love you” when they aren’t expecting it! 3. Read a book together. It’s amazing how quickly my troop of five rowdy kids settles down when I pull out a book. If you want to get double points, you could read them a book about how much you love them, like Mommy Loves You So Much or Daddy Loves You So Much. 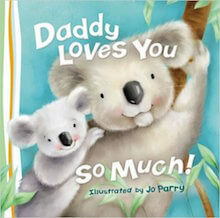 These are adorable books for preschoolers! To add even more fun, you can settle everyone down with some hot chocolate or tea and a snack while you read. We call this “elevenses” in our house (yes, that’s a nod to hobbits and Winnie The Pooh), and my kids love it. 4. Let them help you. Any mom will tell you that it’s often easier and quicker to just do a task themselves, rather than letting their young child “help”. But when we do this, I think we miss out on not only an opportunity to train our kids so that they will be more helpful in the future, but we miss an opportunity to let them feel useful. Don’t you like it when you feel useful? Children are people too, and they like to feel needed and appreciated within the family. Giving them productive work by letting them help (and expressing gratitude even when their help slows you down) is a way to show them love. 5. Let them make a mess. I am not a particular crafty mom, and when I see my kids pulling out the paper and markers and glue sticks and even glitter…well, I shudder a little. But if I can stuff down that initial reaction, I’m rewarded with shining eyes and a few pictures made “just for me”. Is it my favorite thing to oversee the cleaning of the resulting disaster area? No, but it is certainly satisfying to see their excitement while they are creating something, and because I love them, I overlook the mess and let them do their thing (most of the time). 6. Look them in the eye when they tell you a story. As an adult, I certainly feel more loved when I feel listened to, and I think kids are the same way. It’s tempting to multitask while my child tells me a story, but sitting down and listening and looking them in the eye whenever possible communicates that they are important to me. Speaking of being busy, I know there have been many days when I realized that amidst all the cleaning, cooking, feeding the children, getting from one place to another, diaper changing, and just general chaos, I have hardly really looked at my kids, much less smiled at them. But last year I heard a speaker suggest that looking your kids in the eye and smiling at them is one of the best ways to show your kids you love (and like) them. And I realized how true that is. It’s so simple, and yet when things get crazy, it’s easy to forget. “Smile at the kids” is on my list of things to make sure I’m doing every day – to take a moment amidst the busyness of taking care of five growing children, and smile at each of them, because when they think back to their childhood someday, I would like best for them to remember me smiling. 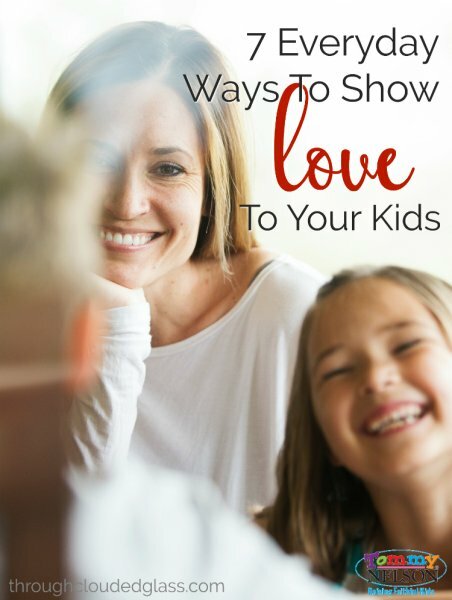 Do you have any other suggestions for simple, daily ways you can show love to your kids? This entry was posted in Blog, Tommy Nelson and tagged Love, loving our kids, Motherhood, Valentine's Day by Callie Nicole. Bookmark the permalink.